Isola Palmaria is an island in the Italian Riviera with beautiful uncontaminated beaches and crystalline coastal waters. Vicenza Designs brings you the Palmaria line of bamboo styled knobs, pulls and bathroom accessories inspired by Isola Palmaria. The bamboo leaf, 100% lead free pewter accented bamboo large knobs are available in Antique Brass, Antique Copper, Antique Gold, Antique Nickel, Antique Silver, Gunmetal, Oil-Rubbed Bronze, Polished Gold, Polished Nickel, Polished Silver, Satin Nickel and Vintage Pewter finishes. Mounting hardware is included. Handcrafted in the USA. Isola Palmaria is an island in the Italian Riviera with beautiful uncontaminated beaches and crystalline coastal waters. Vicenza Designs brings you the Palmaria line of bamboo styled knobs, pulls and bathroom accessories inspired by Isola Palmaria. The horizontalways, 100% lead free pewter leaf accented bamboo towel bars are available in 18, 24 and 30 inch lengths. Chose your finish in Antique Brass, Antique Copper, Antique Gold, Antique Nickel, Antique Silver, Gunmetal, Oil-Rubbed Bronze, Polished Gold, Polished Nickel, Polished Silver, Satin Nickel and Vintage Pewter. Mounting hardware is included. Handcrafted in the USA. Isola Palmaria is an island in the Italian Riviera with beautiful uncontaminated beaches and crystalline coastal waters. Vicenza Designs brings you the Palmaria line of bamboo styled knobs, pulls and bathroom accessories inspired by Isola Palmaria. 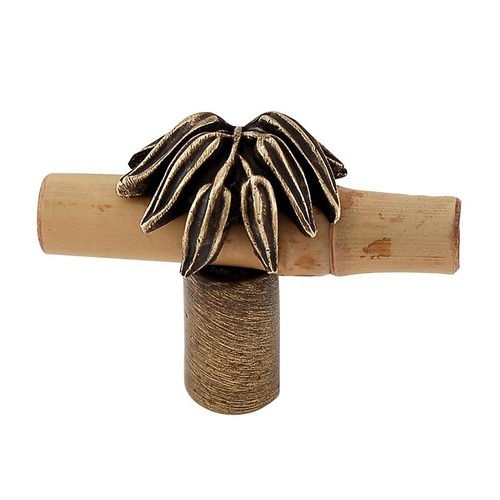 The 100% lead free pewter bundled bamboo three inch pulls are available in Antique Brass, Antique Copper, Antique Gold, Antique Nickel, Antique Silver, Gunmetal, Oil-Rubbed Bronze, Polished Gold, Polished Nickel, Polished Silver, Satin Nickel and Vintage Pewter finishes. Mounting hardware is included. Handcrafted in the USA. Isola Palmaria is an island in the Italian Riviera with beautiful uncontaminated beaches and crystalline coastal waters. Vicenza Designs brings you the Palmaria line of bamboo styled knobs, pulls and bathroom accessories inspired by Isola Palmaria. The horizontal bamboo leaf, 100% lead free pewter accented bamboo appliance pulls are available in 9 or 12 inches in length with Antique Brass, Antique Copper, Antique Gold, Antique Nickel, Antique Silver, Gunmetal, Oil-Rubbed Bronze, Polished Gold, Polished Nickel, Polished Silver, Satin Nickel and Vintage Pewter as finish options. Mounting hardware is included. Handcrafted in the USA. Isola Palmaria is an island in the Italian Riviera with beautiful uncontaminated beaches and crystalline coastal waters. Vicenza Designs brings you the Palmaria line of bamboo styled knobs, pulls and bathroom accessories inspired by Isola Palmaria. Use the horizonatal or vertical mounted, knotted, 100% lead free pewter bamboo large hooks in the kitchen, bath, hall entry or anywhere you need a place to hang your hat, apron, towel, etc. They are available in Antique Brass, Antique Copper, Antique Gold, Antique Nickel, Antique Silver, Gunmetal, Oil-Rubbed Bronze, Polished Gold, Polished Nickel, Polished Silver, Satin Nickel and Vintage Pewter finishes. Mounting hardware is included. Handcrafted in the USA.